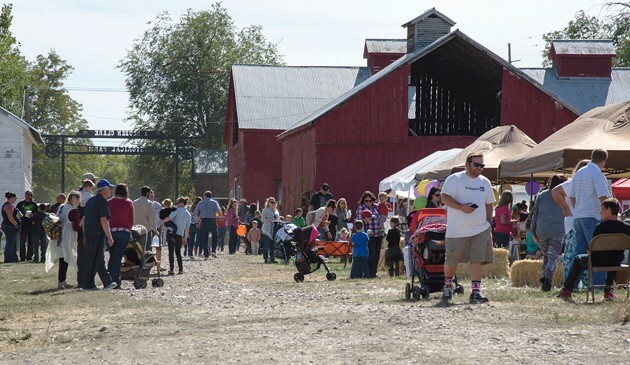 The annual Honey Harvest Festival will be held Saturday at the Clark Historic Farm in Grantsville. Matthew Moore moves a tub filled with rubber ducks in the games section of a past Honey Harvest Festival. The festival returns this Saturday at Clark Historic Farm. 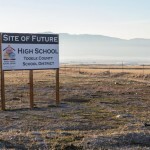 With changing leaves and cooling temperatures, the signs of fall are obvious around Tooele County. 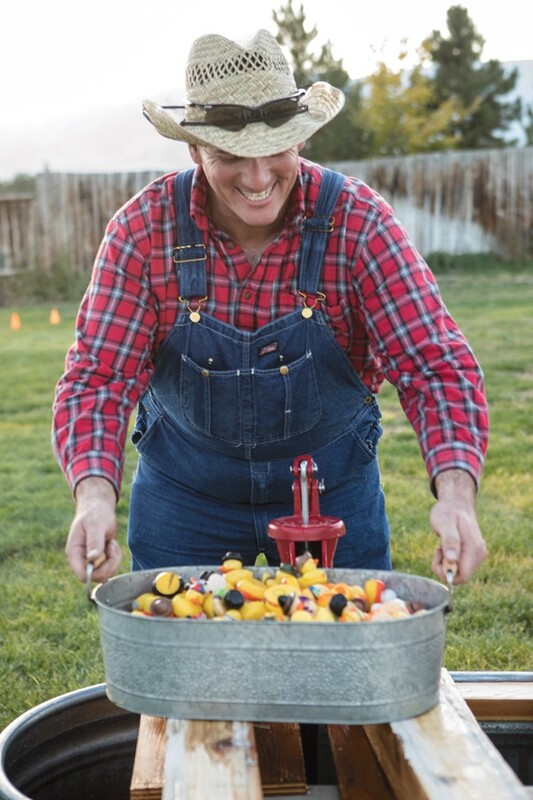 With fall comes annual traditions, including the Utah Honey Harvest Festival at the Clark Historic Farm, which is noon to 6 p.m. on Friday and 10 a.m. to 6 p.m. on Saturday. Admission to the festival is free. More than 8,000 people attended the festival last year, which has become an annual event for some attendees, according to Penny Anderson, Friends of the Clark Historic Farm advertising coordinator. In addition to various honey vendors and demonstrations, there will be a pumpkin growing contest, fiddle festival, petting zoo, food trucks and more family-friendly activities for attendees. The pumpkin contest will be on Saturday from 10 a.m. to 1 p.m., with awards for the most orange, largest in diameter, tallest, cutest, and ugliest pumpkins, as well as a secret category. There will be a jam session for local musicians following the festival on Friday evening, with a location to be announced. The Fiddle Fest starts Saturday at 10 a.m. While the festival is going on, the Donner Reed Museum and Daughters of the Utah Pioneers Museum will be open to the public, Anderson said. There will also be demonstrations at the Donner Reed Museum. In addition to honey vendors, there will be a number of craft vendors, face painting, games, pony rides and a petting zoo. There is a small fee for children’s games. Once festival goers have worked up an appetite, they can visit food vendors such as Simply Bliss BBQ, Mama Africa, and Begay’s Navajo Tacos. There will also be kettle corn and caramel apples for sale.